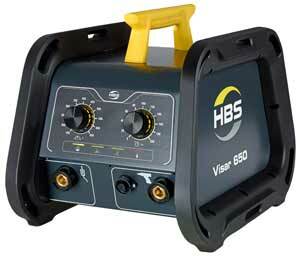 New technology in stud welding equipment and new applications for weld studs. 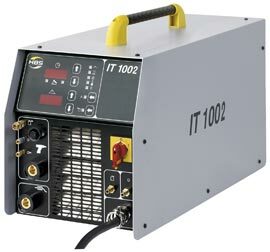 Modern inverter technology ensures precise control and reproducibility of the welding process. 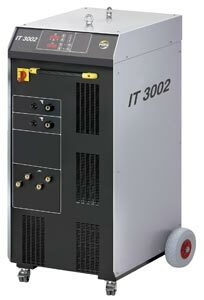 System is unaffected by power fluctuations. 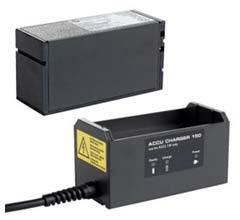 * Welding current and time are continuously adjustable. 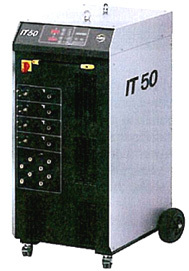 Temperature controlled by cooling fan. Robust housing for use in harsh environments. Dual grounding cables with vice grips for quick installation and removal. 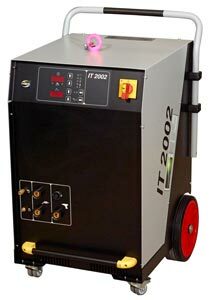 Dual ground helps eliminate possible "ARC Blow" during welding process. The Sunbelt Tubing Spacer (STS) is a specially configured non-corrosive, UV resistant and rigid thermoplastic (I‑ROD). Specially designed notches allow air flow and separation between metal tubing, thus ensuring no moisture is collected eliminating possible corrosion. The I‑ROD also eliminates possible puncture damage caused by shock or vibration. Notches also ensure any tubing diameter stays securely in place without any metal surface touching the pneumatic tubing. The Sunbelt Multi-Option Hanger and Sunbelt Tubing Spacer can be combined for custom configurations depending on your needs and application. Multi-Option Hanger configurations and specifications. Sunbelt Tubing Spacer applications and specifications. 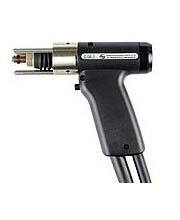 For quick and rugged wire security use a CD Wire Tie Down Stud. 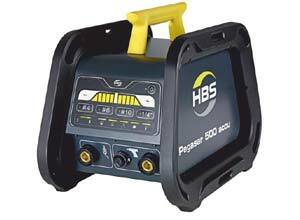 Wire bundles up to 1 inch in diameter can be welded into place providing a permanent wire maintenance system. Wire Tie Down Studs are ideal for any wire assembly, from heavy duty construction equipment to wire management in industrial control boxes and telephone junction boxes. The Wire Tie Down Stud provides a quick, secure installation that will not break, loosen or weaken over time.